The Raspberry Pi 3 provided with your kit is what runs the code you write and controls the other peripheral boards. The Raspberry Pi is enclosed in a plastic case to protect the delicate components, and allow for easier mounting to your robot. It is powered using a micro-USB cable from one of the power board’s 5V outputs. 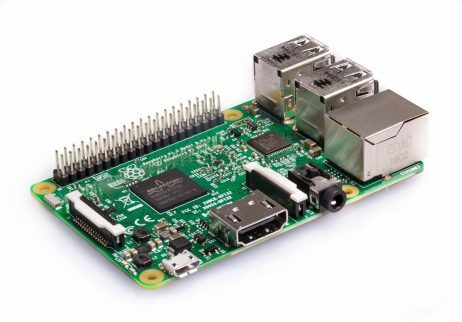 The software included on the Raspberry Pi allows it to run your robot. No graphical or user-required software is installed. You do not need to connect to your Raspberry Pi from a computer in order to use your robot. Please do not attempt to modify the software on the Raspberry Pi. It has been configured and tested in its current configuration. Unauthorized modifications may damage your robot or prevent accurate debugging. Keeping your kit up to date is very important. It enables us to deploy new features, as well as fix bugs. We have documentation on Flashing your SD card. There is a separate list of all published updates.